It’s difficult to meaningfully describe a concert of contemporary music like the one presented by Chartreuse + in Oberlin’s Clonick Hall on January 7. 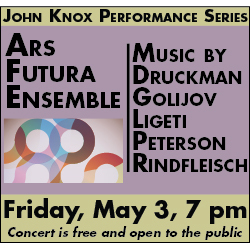 If you’ve never experienced the aural worlds dreamed up by composers who expand the palette of sounds available on traditional instruments, it’s unlikely that you’ll be able to imagine the concert even with the aid of the finest written depiction. 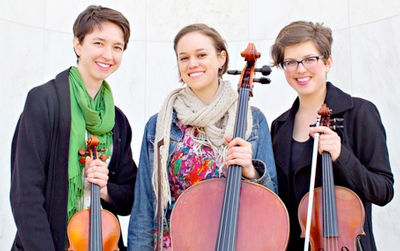 Chartreuse was formed in 2011 at Oberlin by violinist Myra Hinrichs, violist Carrie Frey, and cellist Helen Newby. On its current six-city tour, the group will also perform as Chartreuse + (with additional performers) and as Chartreuse – (performing solo pieces and duets). 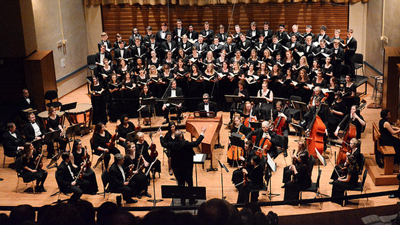 On January 7, Chartreuse + presented an Oberlin-centric program. Four out of the five pieces were by graduates, and each of those four pieces was a premiere of some sort. 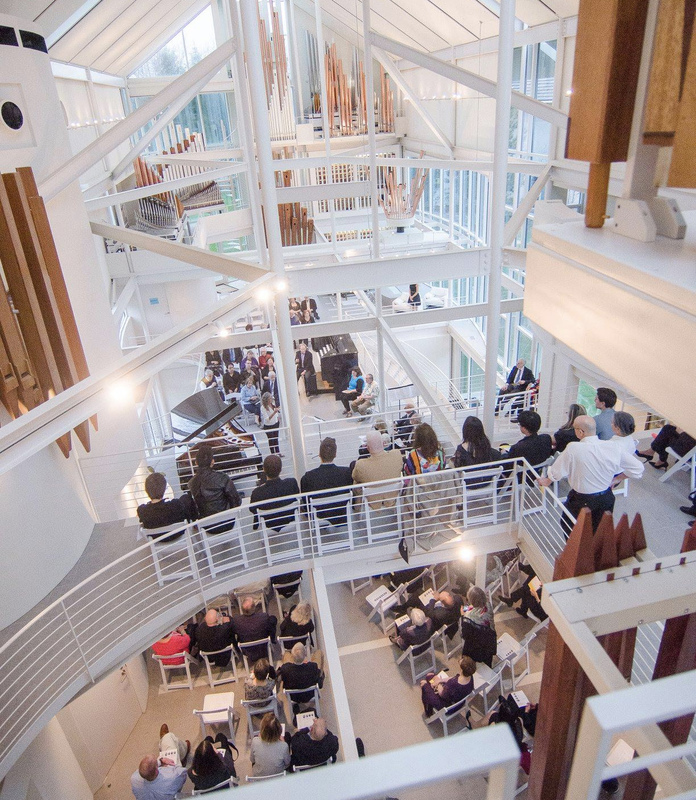 Theophilus Chandler, a recent Oberlin graduate, and the youngest composer on the program, experienced the world premiere of his Image: Deposition for string trio. Sparse descending lines ceded to agitation in the first section, while poignant harmonies faintly glowed in the second. Kurt Isaacson’s as a family of civilian ghosts phase-shifts through the fog lights was given its first complete performance. The work consists of a series of topographical miniatures, each of which explore a distinct texture. Most striking were the first, with the friction between Hinrichs’s and Frey’s ethereal vocalizations and Newby’s coarse bowing, and the last, a maelstrom almost tactile in its grittiness. as a family… displayed one of Chartreuse’s greatest strengths. The trio allowed silences to stretch and breathe, both drawing out tension and heightening the contrast between their playing and the ambient noise in the hall. Amidst the strange clamor of these pieces, silence became unusually charged. 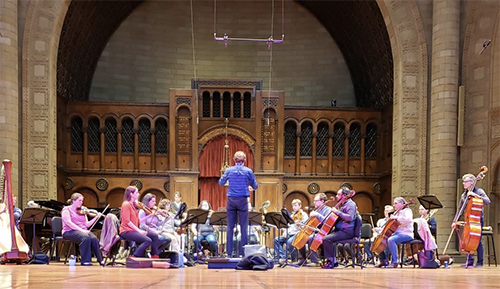 So did the natural sound of instruments — as in David Bird’s pluck.divide.cut, for which Oberlin graduate Zachary Good and current students Ben Roidl-Ward and Hannah Hammel joined Chartreuse on bass clarinet, bassoon, and flute respectively. (Bird was present for the premiere of the sextet version of the piece). At the climax of the sextet, the bassoon and clarinet pulsed in dissonance, acting as lodestones around which the strings and flute whirled. graveled crumbled strewn by Katherine Young (who was present for the premiere of this version for string trio, clarinet and bassoon) included video and audio of a construction site near her house, and featured a bassoon part that transformed the instrument into a snarling beast. Joan Arnau Pamies was the lone non-Oberlin composer. Chartreuse +’s performance of [IVflbclVIvln/c] was an animalistic freak-out in which Zachary Good coerced astonishing yelps, growls, squeaks, and quacks from his bass clarinet while Hammel, Hinrichs, and Newby made sounds like scratches on vinyl and plastic rubbing against itself. Unless you have a wondrous imagination, that description falls leagues short of the real thing. Better to experience Chartreuse + yourself. In other words, if you’re curious what the mercurial, alien, volatile music made by the string trio Chartreuse and their friends is like, go see them perform (four concerts remain in their six-concert tour, with stops in Chicago and New York). 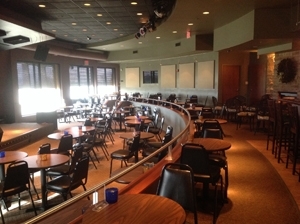 The American Composers Forum likes to remind us that “all music was once new.” Although this statement of the obvious reminds us that some of today’s most popular compositions received less than favorable premieres, the fact remains that most newly-composed works, without a committed champion, will remain in obscurity. On Thursday, January 8 at Cleveland’s Bop Stop, members of the new music ensemble Chartreuse, along with invited guests, treated a good-sized audience to excellent performances of five challenging works. From start to finish the performers were committed champions of the music. 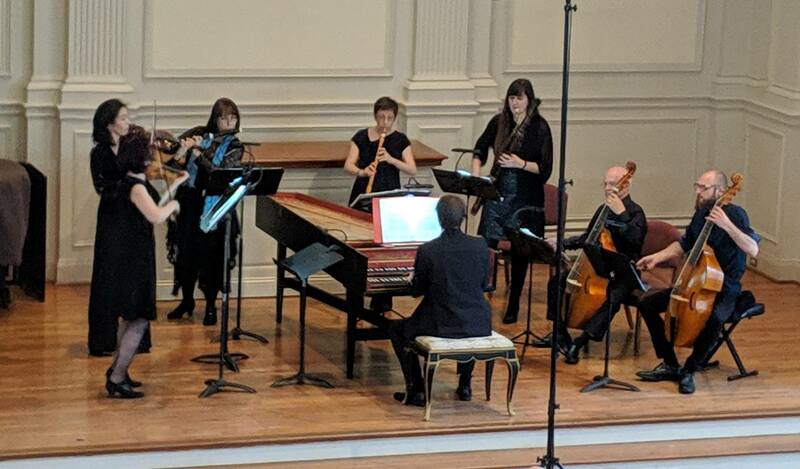 Unlike the previous evening’s concert at Oberlin, which featured Chartreuse members performing works for trio plus guest performers, this concert featured one solo work and four duos – the “minus” side of the group’s current Plus/Minus tour. Peter Kramer’s (b 1989) Waxen, for viola and cello, is a re-imagining of the baroque minuet. Lasting 10 minutes, the piece is a rhythmically jocular work. Violist Carrie Frey and cellist Helen Newby passed musical lines back and forth as though they were in the middle of an animated conversation over a drink – it was as much fun to watch as it was to listen to. Austrian composer Olga Neuwirth’s (b.1968) In Nacht und Eis (2006) for cello and bassoon with ring modulator, manages to be simultaneously grotesque and humorous. Lasting 10 minutes, the dark and brooding work begins on a low E-flat on the bassoon, as the cello’s brief motives wistfully move in and out. Neuwirth’s bassoon writing is demanding. Multiphonics, the bending of pitches, sliding between notes, and extended use of enharmonic fingerings, are not easy on the instrument. Bassoonist Ben Roidl-Ward performed those difficult tasks to perfection, and cellist Newby was superb throughout. French composer Phillipe Hurel (b.1955) composed five compositions entitled “Loops.” Loops I, for solo flute, was written between 1999 and 2000 and lasts a mere six minutes. That’s six intense minutes if you are the performer. The work’s fascinating scale passages are interrupted abruptly with witty extended techniques. They were brilliantly performed by flutist Hannah Hammel, who brought out the subtle transformations of each repeated loop. Daniel Tacke’s (b.1985) übermalung von JSB (2012) for clarinet and viola, a little more than 10 minutes in duration, consists of musical lines that whisper to each other. It begins quietly, and for the most part remains that way, yet it is also playful in its introspectiveness. Clarinetist Zachary Good and violist Carrie Frey were engaging conversationalists and punctuated the quietness with stylish fits and bursts along with sudden stops and starts. In the notes for her 2008 composition Dysmorphia, Irish composer Ann Cleare says, “In this piece, the viola and cello adopt warped versions of each other’s sonic identities, as if they are different sides of the same brain…It is an obsessive, distorted world in which every compositional parameter is saturated in the idea of dysmorphia.” Cleare has assessed her work perfectly. It is a distorted piece, whose score calls for ricochets, pizzicatos, bow swipes, noise digs, finger slaps, tremolos, arcos, and glissandos, all performed at various rates of speed and dynamic levels. Just as violist Carrie Frey and cellist Helen Newby were approximately two thirds into what was an exceptional performance of the complicated work, the unthinkable happened: the bridge on Newby’s cello snapped. Anyone who has ever witnessed this sort of thing knows how heartbreaking it can be. 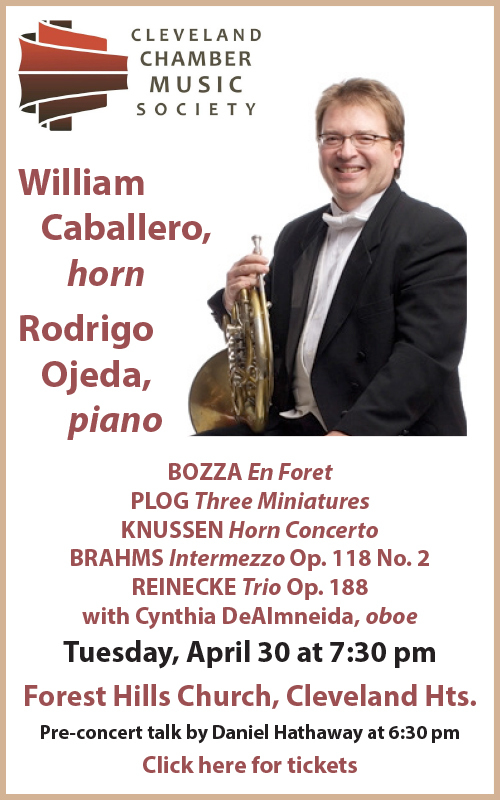 Since nothing could be done to immediately fix the problem, the piece, as well as the exceptionally performed concert was brought to a sudden conclusion. It will be fun to follow Chartreuse as they move forward in their career as an ensemble. They are committed to the cause of new music, and they know how to covey that commitment through their playing. 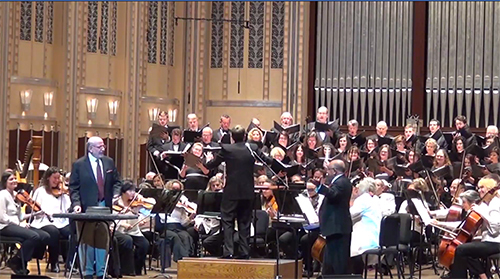 Published on ClevelandClassical.com January 10, 2015.